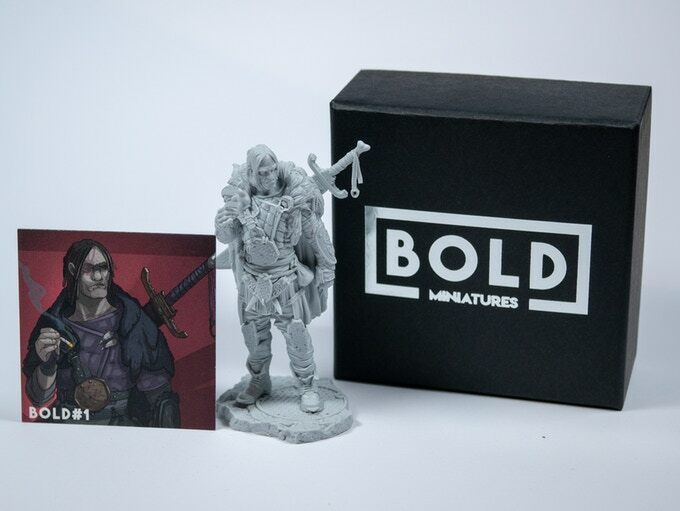 Bold Miniatures has taken to Kickstarter with their first of their 75mm characters, Joshua. 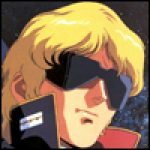 This is a new model based on the artwork of Elisa Day a.k.a. Katherine Zhuk. This miniature is a 300 copy limited and numbered edition feature, painted up here in these images by Sergio Calvo. 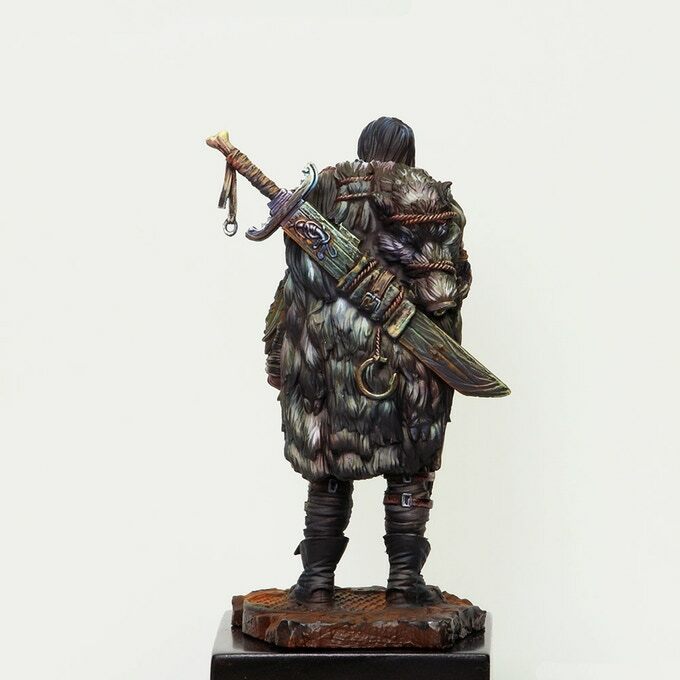 Here we can see the surly mercenary who actually stands at around 90/95mm in size and cast in resin. As well as the miniature itself you also get the presentation box, a silk bag for the extra components and an authentication card which tells you that you're one of the 300 people in the world who has this model. 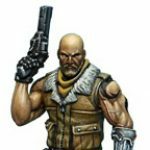 The miniature looks awesome and I hope that this is the start of a great line of characters from Bold Miniatures. I'd love to see what they do with more artwork from Katherine Zhuk and beyond. Will you be taking a peek at Joshua? 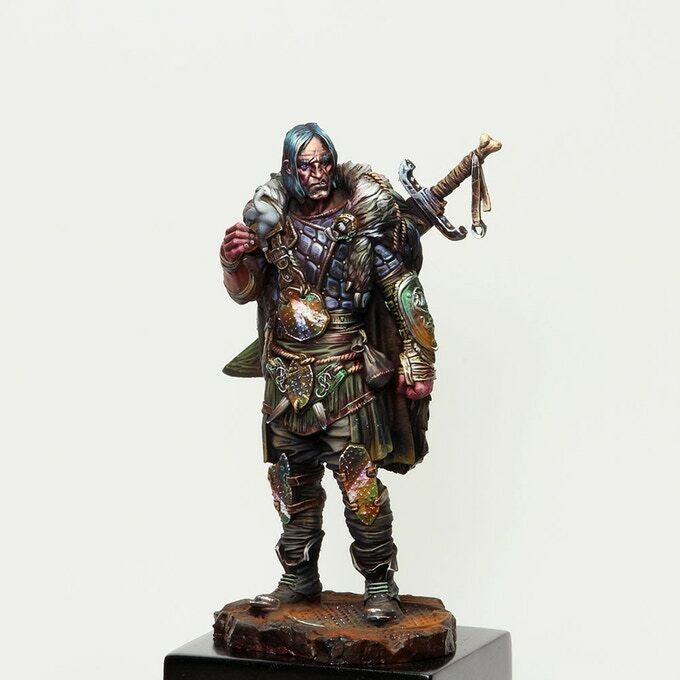 "I'd love to see what they do with more artwork from Katherine Zhuk and beyond..."
This is one of those times where the miniature sculpt outshines the concept artwork – bloody B-E-A-utiful!